This entry was posted on Wednesday, June 4th, 2014 at 12:04 am and is filed under Uncategorized. You can follow any responses to this entry through the RSS 2.0 feed. You can leave a response, or trackback from your own site. 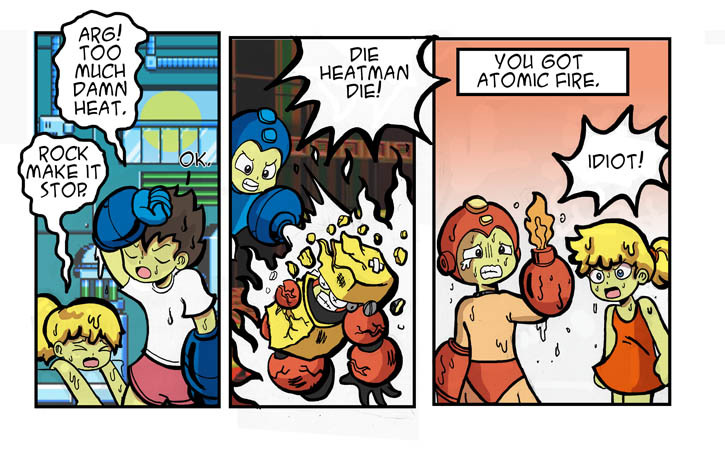 Why does Mega Man have boxers when he should obviously have a second pair of underwear. HAaaahahaha, power backfire.. I love it. This is just the kind of gag Brawl in the Family might do. Ah what an age to live in, when the people doing the comics you like talk about the videogames you like.. if only real life was that interesting.